Hollywood icons leading the ‘50s entertainment era were famous for their dapper styles marked by tailored tuxedos, sharkskin suits, pocket squares and top hats. 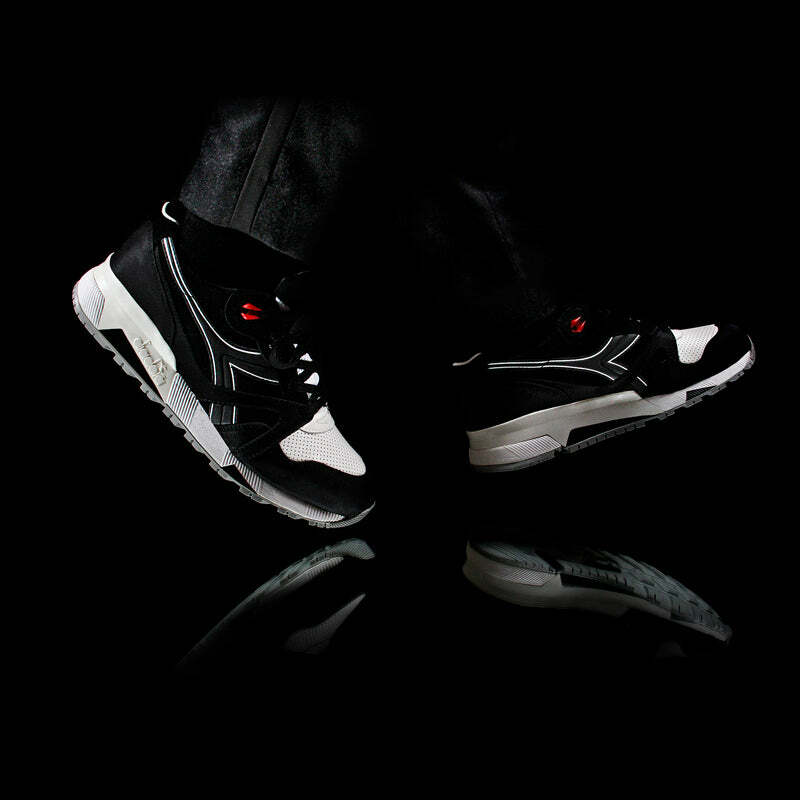 The Diadora N.9000 x Concepts “Ratpack” captures the essence of this fashion-forward era by presenting a sleek black-and-white model complete with three sets of laces: black, red and “piano key. 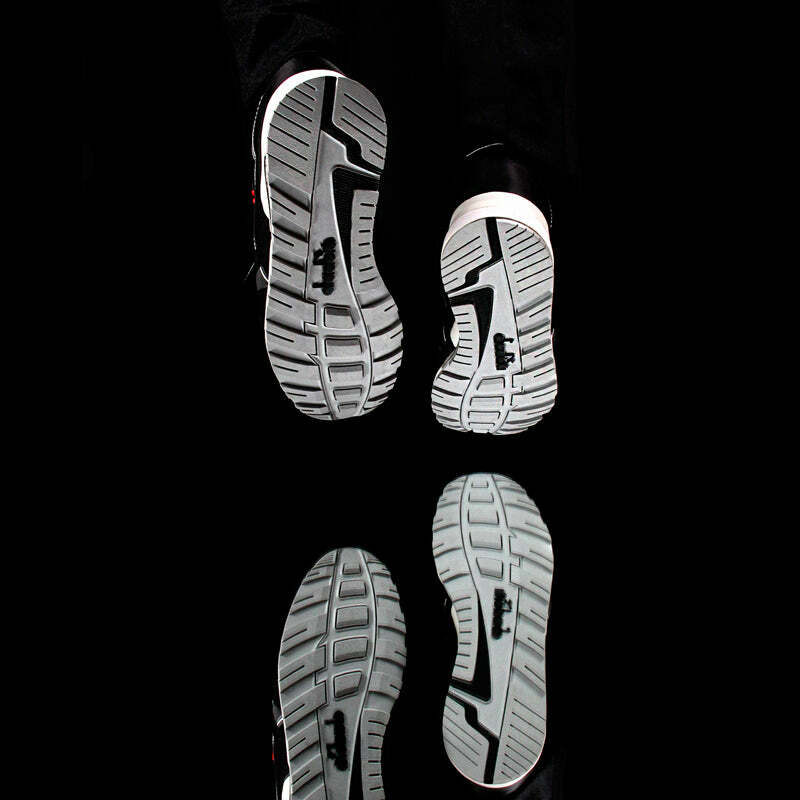 Made in Italy, the sneaker features a unique twill material often used in suiting design and manufacturing. 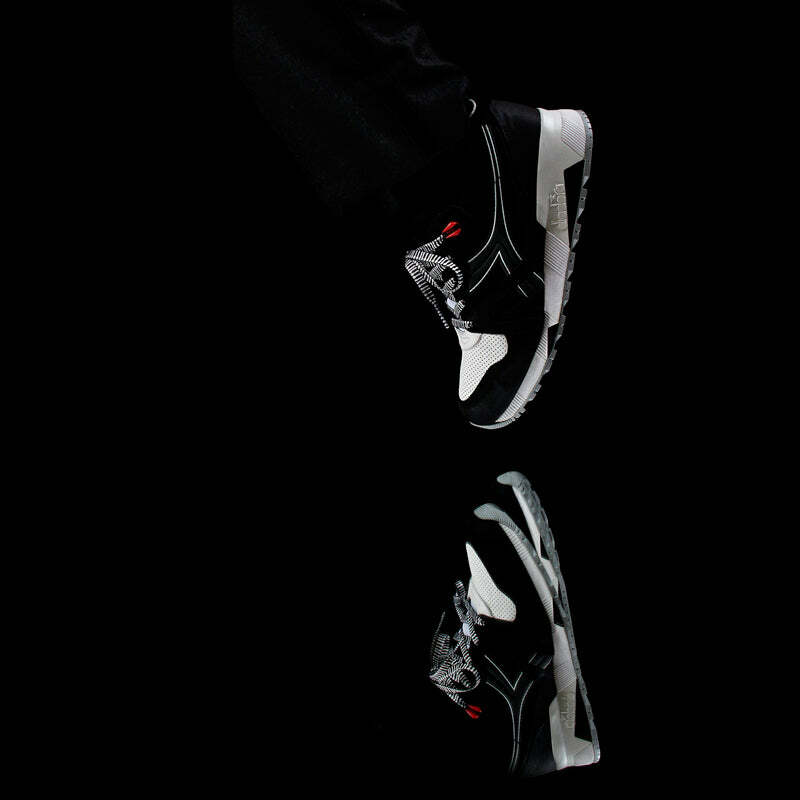 Additionally, there is premium suede and perforated leather, a premium leather liner, a mesh tongue and reflective Diadora logos along the side. 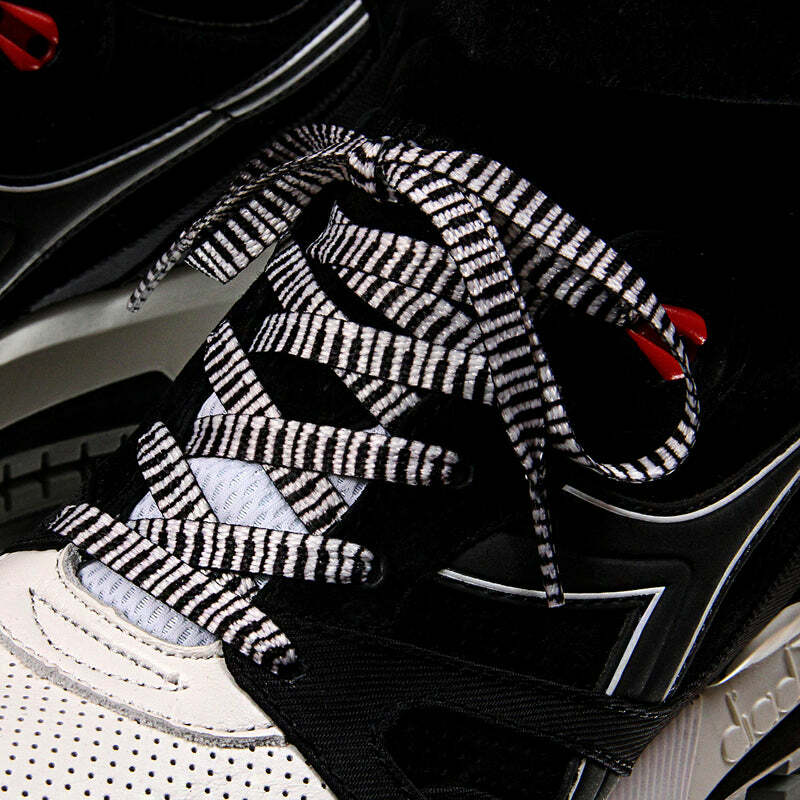 For a pop of colour, there is a pair of red eyelet grommets at the tying point.